A controversial gathering which was scheduled to be held in the West African state of Togo has been called off amid a burgeoning movement aimed at the removal of a French-backed political dynasty. Called the Israel-Africa Summit, the event was obviously designed to enhance the political and economic role of Tel Aviv on the continent. Absent of any serious attempts to resolve the Palestinian question related their right to self-determination and nationhood along with the ongoing occupation of the Golan Heights in Syria, the state of Israel is seeking to undermine any appearance of anti-imperialist sentiments among African leaders. Reversing developments in years pass when progressive and moderate African governments gave diplomatic and material support to the anti-Zionist movement in Palestine and surrounding countries, Israel is making a bold offensive to strengthen relations with African Union (AU) member-states. The summit was to have taken place in October in Lome the capital. Several leaders in Africa had already objected to the meeting and said they would not attend. 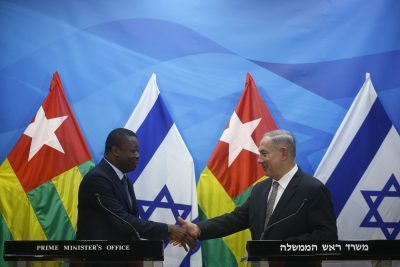 News of the postponement came from the Israeli Foreign Ministry which noted that the President of Togo would not be in a position to hold the summit at this time. Mass demonstrations have erupted in Togo demanding the removal of the administration of President Faure Gnassingbe who has ruled the country since his father’s death, Gnassingbe Eyadema, in 2005. The elder Gnassingbe seized power in a military coup in 1967. Therefore, the country has been ruled by one family for 50 years. This announcement represents a setback in Israeli foreign policy towards Africa. The convening of such a summit on the continent would represent a major departure from the traditions of solidarity with the struggling peoples of the world particularly in the Middle East. Largely stemming from the failed British, French and Israeli invasion of Egypt in 1956 in the aftermath of the nationalization of the Suez Canal by the-then President Gamal Abdel Nasser, the newly-emerging African states began to look critically at Tel Aviv. Just over a decade later during the so-called “Six Day War” of June 1967 between Egypt, Syria and Jordan against the Israeli state, where Tel Aviv more than doubled its size by seizing control of the Sanai in Egypt right up to the Suez Canal, while at the same time occupying the Golan Heights of Syria and the taking of the West Bank previously under Jordanian authority, most African states severed diplomatic relations with Israel. Six years later in 1973, Egypt under President Anwar Sadat launched an offensive taking back vast stretches of the Sinai from Israeli control, lead to the escalation of tensions even further. Two years later in 1975, the United Nations General Assembly voted to declare that “Zionism is racism”, intensifying the isolation of Tel Aviv. Eventually in 1991, the resolution against Israel was revoked by the same UN General Assembly. Perhaps the most significant factor in the decision to postpone the summit was the unrelenting mobilizations by opposition parties and coalitions in Togo aimed at the resignation of the current administration of Gnassingbe. During August 19-20, tens of thousands marched and rallied in defiance of the national government. Reports indicated that as many as 7 people were killed by police and military forces inside the country. Many others were arrested and 15 members of a leading opposition group, the Pan-African National Party (PNP), were sentenced to prison terms. 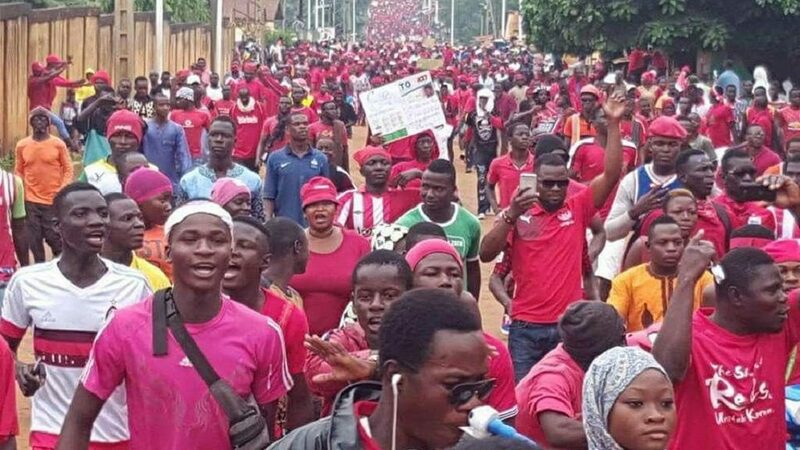 A new round of mass demonstrations against the Gnassingbe administration erupted on September 6-7. The government in response reportedly shutdown internet connectivity preventing the various opposition groups from communicating among themselves as well as limiting access to information related to developments inside the country and internationally. Thousands of Togolese marched into the central area of Lome on September 7 facing down the security forces. Later police fired teargas to disperse the crowd arresting some 80 people. Those seeking to remain informed about the mass demonstrations of September 6-7 were forced to travel to the border between Togo and Ghana in order to have access to internet services. Officials within the Gnassingbe regime admitted that internet services were blocked citing concerns of threats to national security. Demonstrators told members of the press they wanted a return to the reform constitution enacted in 1992. This document limits the existing administrations from remaining in office for more than two terms. Nonetheless, after the ascendancy of the current president, amendments were made which allowed the perpetuation of the Gnassingbe family rule. Efforts aimed at reform have been met with fierce repression from the government. Understanding the mounting mass pressure, members of parliament have announced the need for a bill to institute reforms. Nonetheless, opposition figures are quite skeptical of such a move at this time. These recent demonstrations have reached a critical point with the emergence of the Pan African National Party (PNP) leader Tikpi Atchadam, 50, as a central figure in the mass mobilizations over the last month. The party has reached out to form a broader alliance with the Combat for Political Change (CAP 2015) which brought together opposition groups in over the last few years. PNP was formed in 2014 and has no representation in parliament. Atchadam is from the northern region of Togo as is the Gnassingbe family. The willingness of the various opposition parties to work together has created a dynamic movement committed to the toppling of the existing administration. Atchadam has never before run for president. Parliamentary opposition leader of the National Alliance for Change (ANC), Jean-Pierre Fabre, 65, has also formed a coalition with the PNP in the interests of political transformation. Fabre has run unsuccessfully for president on several occasions. The ANC leader repeatedly charged that the elections were rigged and not representative of the Togolese political will. In response to the growing demonstration against President Gnassingbe, members of his ruling Rally for the Togolese People (RPT) have also staged demonstrations in support of the government. At present President Gnassingbe is chair of the regional Economic Community of West African States (ECOWAS) therefore hampering the capacity of the organization to effectively address the current political impasse inside the country.